In June 2014, Guelph, ON., own Teresa Allaire‘s life changed for the better. 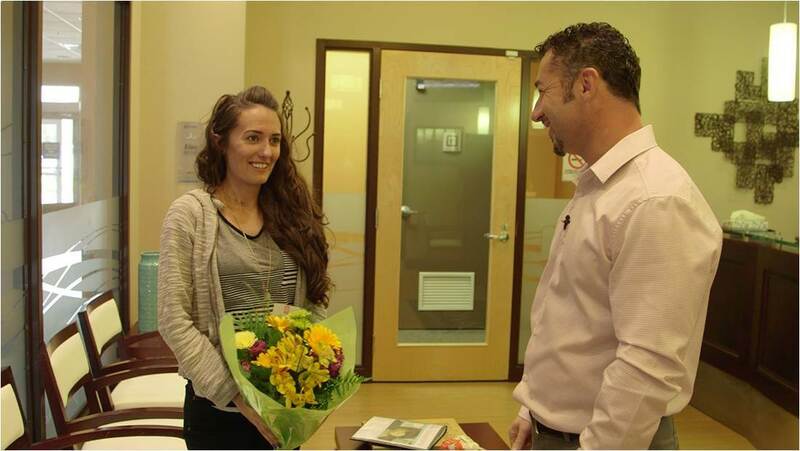 She received news that she had won a $25,000 Smile Makeover from cosmetic dentist Dr. Gelfand and the Dawson Dental Centre team. To top it all off she didn’t even enter the contest herself, her best friend did it for her. Dawson Dental Centre proudly serves over 18 communities across Ontario including Brooklin, Guelph, Newmarket and downtown Toronto. From Teeth-In-A-Day, Dental Implants to Invisalign, Dawson Dental Centre provides an array of dental services for patients of every age, delivered consistently in a safe, caring and warm environment. Our dental centres are open seven days a week with same-day emergency appointments. Dawson Dental Centre locations are welcoming new patients.